The Football League, the wonderful Football League, is 130 years old this season. However, when founded in 1888, it was a bright new idea that was enabled by the acceptance of professionalism in the sport. Suddenly the game that had stolen the hearts of the working class was now a viable job choice and so a formal league was born. A 12 team league was set up with sides from the Midlands and the North of England. The league would run from September 1888 till February 1889 with each side playing each other home and away. So, on Saturday 8th September 1888, the first ever round of the Football League kicked off. Preston North End hosted Burnley in front of 5000 supporters, PNE smashing the visitors 5-2 before travelling to Wolverhampton Wanderers the following week to win comfortably 4-0. Preston topped the league, a position they would not relent all season! 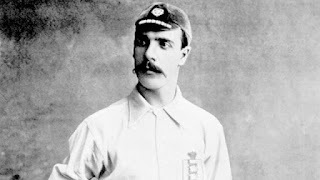 In the following weeks Preston continued to sweep their opposition aside, beating Stoke 7-0 at home, courtesy of 4 goals from Inside Forward - Jimmy Ross. By the time they dropped their first point in October (1 point for a draw, 2 for a win), they had gone 6 matches unbeaten. Accrington held North End to a 0-0 draw but their momentum was not halted. By the end of the season Preston had won 18 of their 22 games, drawing just 4 times. They racked up 40 points, some 11 clear of second placed Aston Villa. John Goodall was the top goalscorer with 21 goals in 21 games, becoming the first 'Golden Boot'. The Football League was here to stay and we won't forget the first invincible side! 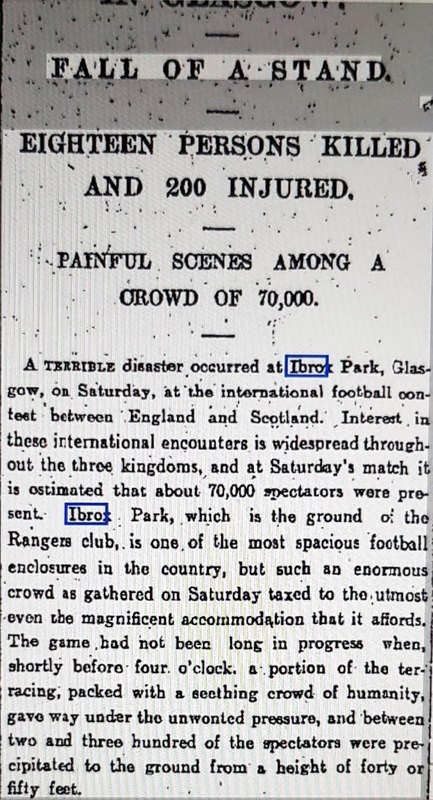 Sadly our next moment is one of British football's first tragedies, the Ibrox Disaster of 1902. The turn of the century had seen no relent in the love of the game across Britian with crowds on the increase. International footb2all had become a big part of the sport with the British Home Championship an absolute spectacle. Scotland, England, Wales and Ireland fighting it out each year since 1883/84, the rivalry and competitiveness fierce. Come 5th April 1902, Scotland were hosting England with the title at stake. England needed the win to topple Scotland, and Ibrox was packed with a reported 70,000 specators. The West Tribune Stand was such a squeeze that Robert Sheils (1998) describes supporters having space of just 16 inches by 14 inches! Half hour into the game on that April afternoon is when disaster struck the footballing world. Joints underneath the stands gave way and the wooden boardings fell through, horrifically hundreds of fans fell 40 foot to the ground below. 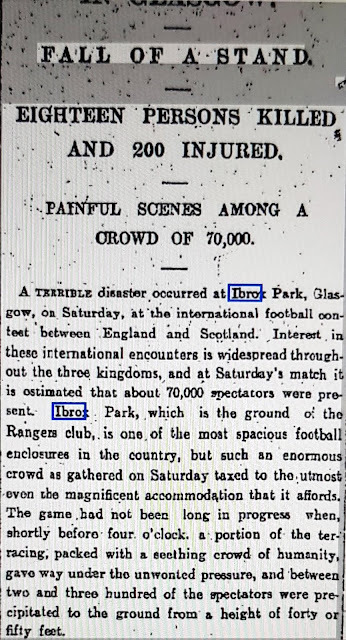 Early reports, like The Scotsman from the Monday following, claimed 18 people died with 200 others injured. However, these numbers were thought to later total at 25 deaths and over 500 injuries of ranging severity. Unbelievably, the match would resume that day with a 1-1 scoreline later being voided. Players were said to be traumatised, their match shirts used as bandages but officials feared worse injuries by abandoning the tie. In the aftermath, the FA donated £500 to a relief fund for the victims of the terrible day and both football associations agreed to a replay at Villa Park. It would finish 2-2, handing the British Home Championships to Scotland but more importantly it united the footballing world with proceeds from the game also being donated to the fund. 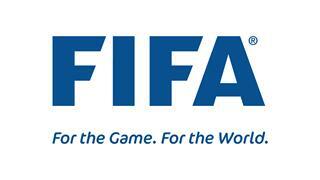 On 21 May 1904, the Fédération Internationale de Football Association (FIFA) was founded in Paris. 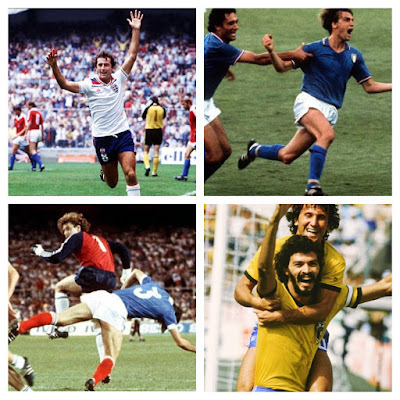 Love them or loathe them today, FIFA have been integral to the growth and globalisation of the 'beautiful game'. 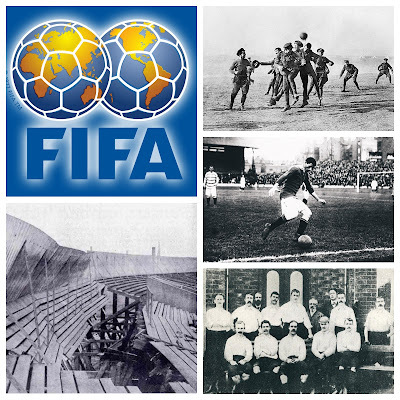 FIFA's founding was a way of formalising the work begun by the Football Association back in 1863. This was then followed by the first ever international football match held at Hamilton Crescent, Glasgow, between Scotland and England in 1872. With the need for a football governing body clear by 1904, the home nations of England, Scotland, Ireland and Wales rejected the idea. However, despite these disappointing rejections, many national associations did agree to unite together. In total 7 countries founded FIFA on that day in May 1904: France, Netherlands, Belgium, Spain, Sweden, Denmark and Switzerland were at the meeting whilst Germany also joined from afar by telegram. 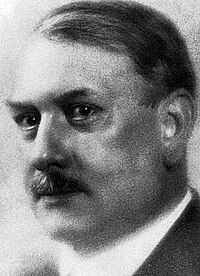 Robert Guérin, a French journalist for Le Matin newspaper, was elected the first president of FIFA. 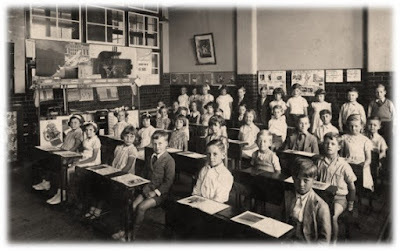 It was decided by September 1905 (after England had finally joined) that matches were to be played according to the "Laws of the Game of the Football Association Ltd". Each national association would also pay an annual membership fee of 50 French Francs. 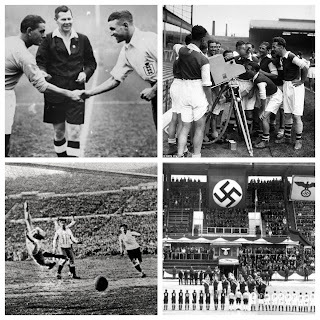 Significantly, only FIFA could organise official international matches and so their influence began to grow. By the beginning of the First World War in 1914, many more had joined the fray with South Africa, Canada, USA, Argentina and Chile making FIFA truly global. It would not be till 1930 though, that the first World Cup would take place... but that is for another article! William (Billy) Meredith was born in Chirk, Denbighshire, North Wales in 1874. He followed the village profession of mining and at just the age of 12 took a job at the local colliery. However, football was Meredith's true love. A game that had swept the working classes and offered an escape from the harsh reality of pit life. Meredith represented English clubs Northwich Victoria and Ardwick AFC (who became Manchester City) as an amateur, whilst still mining, before later turning professional. Football at this time was still adjusting to the professional game and a maximum wage cap had be introduced. £4 a week was set in 1900/01 and this could not be broken to match talent, experience or the desire of another club to attract a player. 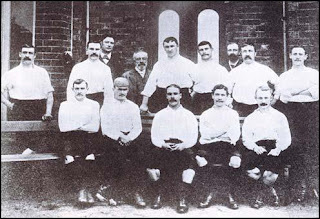 The Association Footballers' Union (AFU) had been founded in 1898 to negotiate with the FA on behalf of players but this was dissolved in 1901, leaving footballers with no representation. Meredith, perhaps inspired by the mining community of his hometown, set about wishing to organise a union to represent the interests of these professional sportsmen 'owned' by their clubs. In December 1907, Meredith (now of Manchester United) and his teammate Charlie Roberts formed the Association of Football Players' and Trainers' Union (the AFPTU, and pre-runner of the PFA). The AFPTU targetted changes to the maximum wage cap and transfer regulations that saw players severely restricted in club movement. This came to a head in later years, 1909/10 in particular when the FA withdrew recognition of the union and many players faced banishment from the game. Meredith and his comrades stood firm though, and changes were eventually accepted and implemented by the FA. Billy Meredith - the Wales, Man City and Man United legend on the pitch, is also owed a lot for is fight for player's rights off it too! 'The Christmas Truce' is perhaps one of the most well know stories about the First World War. It is an unbelievable moment of peace and normality during 'the war to end all wars'. To write about this in just four paragraphs is not to do it full justice so I recommend you delve deeper with a previous article of ours. However, a short look at it is certainly worth a mention as one of the most important moments in football history. On Christmas Eve 1914, months into a war that was supposed to last just till Christmas, it was clear there was no end in sight. The Germans began singing carols, the British responded with some of their own. Suddenly, in the horrors of war, human beings decided to set aside their weapons for Christmas Day. Officers were said to be unhappy at this unarranged ceasefire up and down the Western Front (although not everywhere did experience this). 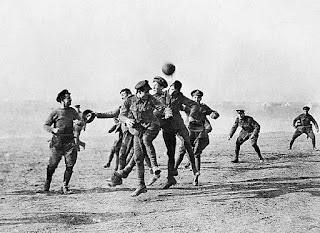 Football matches broke out too, as soliders reclaimed what they were missing, the Allies v the Germans... there was no winter break in the trenches that year! 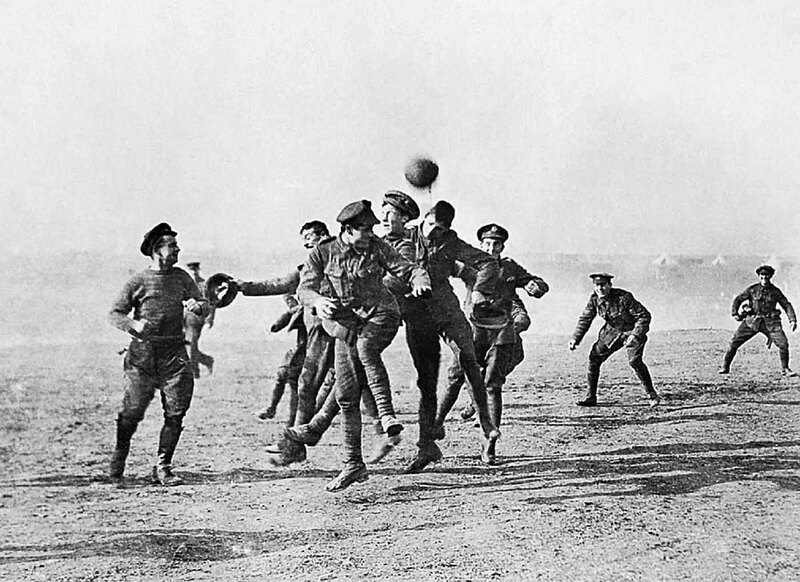 The Footballers' Battalions are also an important piece of the game's history. The British government, to increase recruitment and volunteers, set up 'Pals battalions'. These were to encourage men to sign up for the war with their friends, a clever tactic. Hundreds were formed across the UK and within that were football clubs who saw service as a duty far greater than continuing the sport. 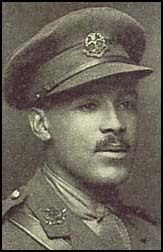 Walter Tull, Northampton Town (& former Tottenham Hotspur) half-back was one of those to sign up. Tull's significance is that he was one of the first black players to play in England, alongside this he became one of Britian's first ever black army officers - What a man! Thousands upon thousands of these men were killed and football was truly changed by a generation who fought for freedom, yet sacrificed not just their careers but their lives. To read more about footballers during the war, then take a look at two previous articles we have written: Footballers at War Part One & Part Two. Make sure you visit 'The 50 Most Important Moments in Football History: Part One' here!